Emma joined Beaufort Investment in 2016 as Senior Investment Analyst and was promoted to Head of Fund Research in January 2019. She is responsible for researching funds for inclusion in the model portfolio ranges, portfolio construction and managing the investment team. Previously, she was Senior Investment Analyst at Mazars where she was responsible for the fund selection and ongoing management of assets split across six award-nominated externally risk-graded discretionary model portfolios and five discretionary ethical model portfolios. Prior to Mazars, Emma was a Senior Fund Analyst for discretionary fund manager, Wellian Investment Solutions, where she was responsible for the fund selection and ongoing management of assets split across five award-winning risk-graded discretionary model portfolios and one discretionary ethical model portfolio. In the years prior to Wellian, she was a Fund Analyst at Ashcourt Rowan, now Tilney Group, where she was responsible for the portfolio management of five multi-manager fund of funds and fund research on existing and new funds. 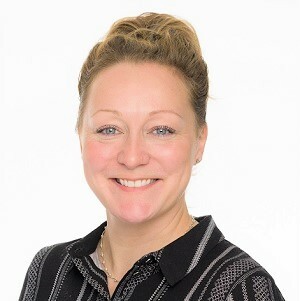 Emma is a Chartered Member of the Chartered Institute for Securities and Investment, a member of the CFA UK Society and holds the Investment Management Certificate. Outside of work Emma is a keen equine enthusiast.